WE LOVE COMIC BOOK & ANIMATION CHARACTERS! If your studio or creative department needs additional creative assistance with character art, comic book comic book style concepts of otherwise, we can assist you with your project or campaign. If your studio or art department needs storyboard or dry erase art, we can assist you with your project or campaign too. We have worked with art directors to understand various projects. We can assist you with character art concepts and enjoy Working with art directors and art creatives! If you are interested in our services – contact us. Pencil, Ink, Coloring or Painting – We Can Do it! Have a favorite comic book character? Let AOART5 create something you would be proud to hang in your home, office, man cave or child’s bedroom. AO can create your original pencil sketches, ink drawings, watercolors, paintings or even monster wall art! 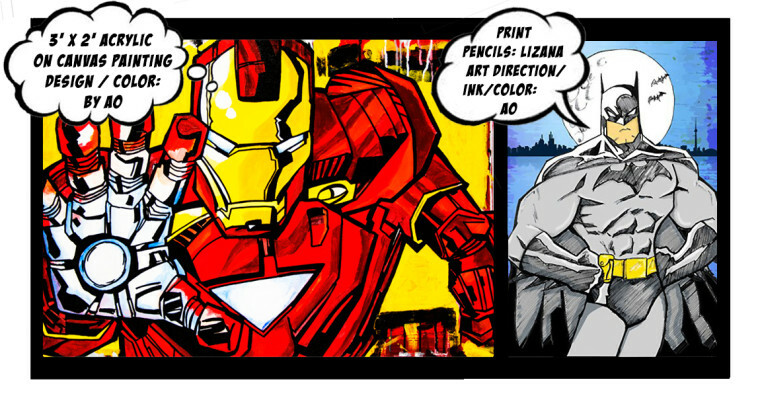 Get your original comic piece started today – contact us. Have a favorite comic book character? Let AOART5 create something you would be proud to hang in your home, office, man cave or child’s bedroom. AO can create your original pencil sketches, ink drawings, watercolors, paintings or even monster wall art! 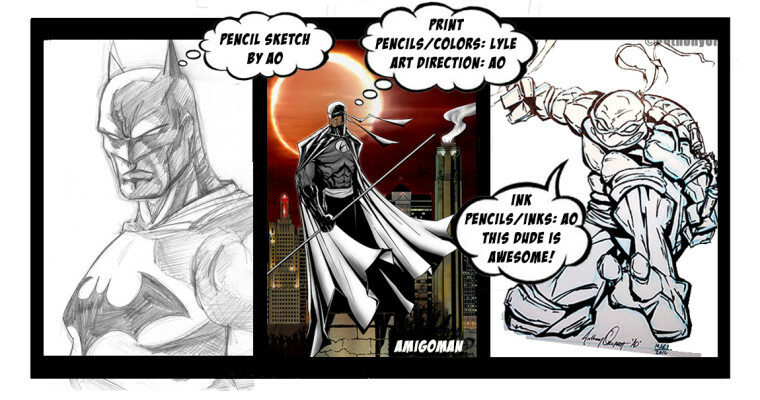 Get your original comic piece started today – contact us.